Can I update my product inventory for multiple products all at once? In short, yes. 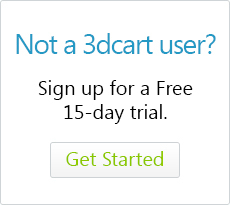 While it is usually best to use 3dcart's built-in Export/Import features for inventory updates, you can also update inventory on multiple products through your 3dcart interface. Look towards the top right of the page and click on the "Actions" button, followed by "Inventory"
If necessary, you can also filter your product views to view products by category, distributor, manufacturer or even minimum/maximum stock amounts.